If you are looking for a Summer read, look no further! 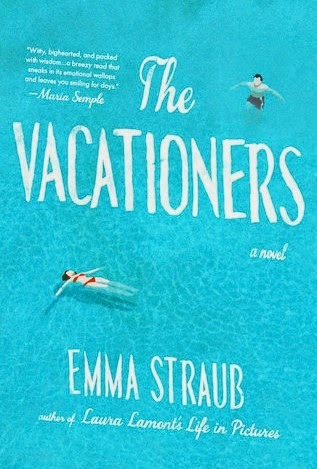 As a member of the Birch Blogger Book Club, I received an advanced reader copy of The Vacationers by Emma Straub, and it was a phenomenal book. I am most drawn to mysteries or psychological thrillers when it comes to reading, and this is nothing of the sort. I was still excited to get my hands on it, because we all need a good book to throw in our beach bag, and hey, I like trying new things. I love the narration in this novel, as Emma Straub seamlessly delivers the perspective of each character, without needing separate chapters for each person. Actually, the chapters are told by day. The story revolves around a family that takes a two week vacation to Mallorca around the 35th wedding anniversary of the parents, Franny and Jim and the recent high school graduation of their youngest, Sylvia. What unfolds is the quirky and honest reveal of their unique family dynamics. You quickly become attached to all of the characters, and find yourself reading forward to entertain yourself in their self-demise and personal drama. Even more engaging was that I found myself identifying certain characters with people I have met in my own life experiences-they are that thoroughly developed, and with seemingly little effort too. to rescue a dying marriage were doing so out of a misguided hopefullness. This is the perfect Summer read, Beach read, Because-You-Feel-Like-Reading read. It was refreshing to read a book that didn't have me constantly on the edge of my seat trying to figure out whodunnit. That being said, it was equally as pleasurable to read. I highly recommend that all of you travelers, vacationers, staycationers or no-cationers (you can fantasize about vacation in Mallorca from the details of this book) find a way to get your paws on this book for your reading pleasure. And because I am so nice I will point you in the right direction here or here (you're welcome!). Disclosure: I received this book complimentary for review purposes from Birchbox. 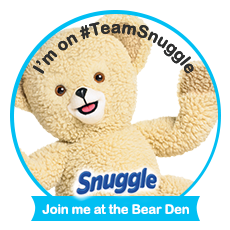 If you are interested in becoming a #BirchBlogger, go here. If you are interested in getting yourself a subscription to Birchbox, and by golly you should (hello high end beauty samples delivered right to your mailbox every month), please use my referral link here. If you want to see a sample of what may come in your box, you can see my July Birchbox here.